We all can probably get into better shape these days, right? You ask: What's my motivation?! To which I answer: A race to survive the zombie apocalypse. Yeah, you heard me. There's an app in development right now thanks to a successful Kickstarter funding. 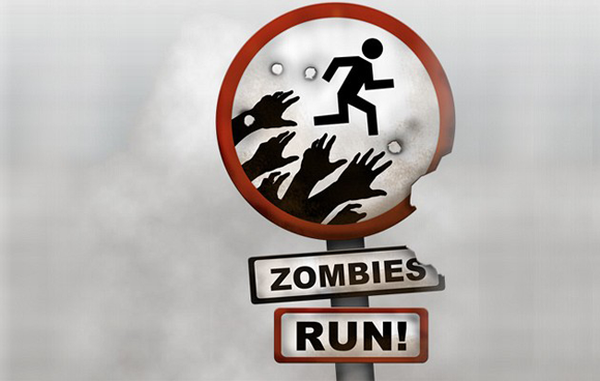 It's called Zombies, Run! and in a nutshell, it's an interactive zombie story for runners.During your run you collect items (medicine, batteries, ammo) and at the end of your run you get o allocate these supplies then resume the adventure on your next run. 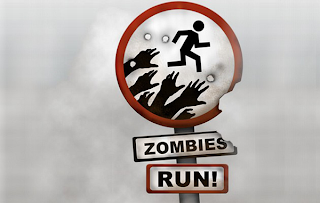 Storytelling, physical fitness, and zombies. What else do you need?